Korean startups are doing well. With 49% of YoY growth (233 in 2015, 347 in 2016) in the number of investments and 23% increase (KRW 811.96 Billion in 2015, KRW 1007.8 Billion in 2016) in investment size, the future of the country with over 4,000 startups and 51 million population looks rather optimistic. There was an average of 29 investments per month, with December being the highest (217.4 Billion KRW in total investments), according to the 2016 Korean startup funding report released by Platum, a Korean tech media covering China’s startup scene. And, in many ways, they have soap operas to thank. Next time you get the chance watch a Korean soap opera or a talk to a Korean soap opera fan, you might get a clue of what startup sector or business will boom up in South Korea. So this is how much Korean dramas are linked to the top 3 sectors of funding in Korean startups. We summed up the three sectors, which are finance, beauty, and content. Korean soap operas featuring Korean food or Korean traditional medical treatments and medicine helped the sales of local food and medical tours, but their influence in local startups is not so significant at this point. Winter coats in a Korean soap opera raised the issue of needing to get rid of paying procedures. 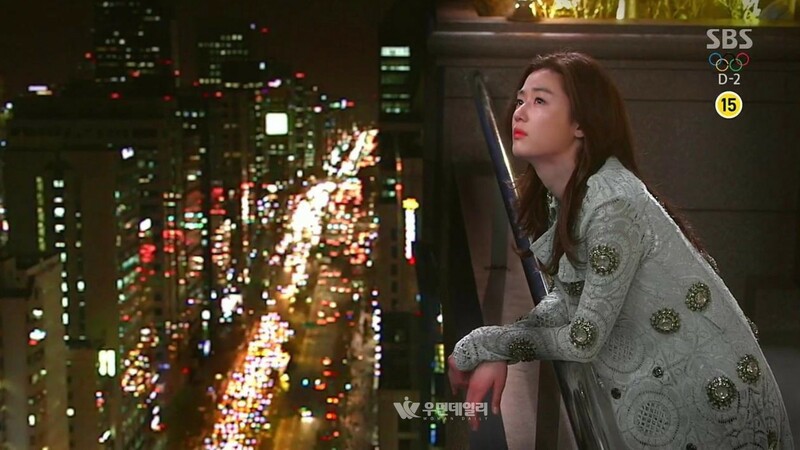 Coats worn by a heroine starring in the South Korean TV series “My Love from the Star” were a big hit in March 2014. Overseas fans tried to purchase them online, but the payment procedure is a big barrier in Korea, and many failed to purchase those items. Even previous president Park Geun-Hye instructed officials to deregulate the financial industry to enable cross-border purchase. The hard payment gave room for overseas startups like Fashory take advantage of the China market. There is a lot of room for innovation and improvement in Korea’s financial sector, and Korean fintech startups continue to be a popular investment option (8%) since 2015. Viva Republica, the company that runs a simplified money transferring service TOSS raised KRW 55 billion (US$ 48 million) from KTB Network, U.S.-based Goodwater Capital, and Altos Ventures. TOSS won the top prize at this year’s Google Play App Awards for the Korean market. The startup plans to open an international wire transfer service this year through TOSS. The P2P sector is another sector to attract more funding, a P2P lending company 8 percent raising KRW 14.5 billion (US$ 13 million) and Honest Fund, a P2P crowdfunding company raising KRW 7 billion (US$ 6.2 million). Balance Hero, a provider of TrueBalance, an application that checks the balance in the SIM card raised KRW 13 billion (US$ 11.6 million). The blockchain is another sector that South Korea is looking to get into. Blocko, a blockchain startup received the first class good software (GS) certificate for its blockchain development platform CoinStack v3.0. K-pop and Korean drama’s popularity lead to interest in Korean beauty products, no brainer. According to U.S. department of commerce, Bureau of Census, Global Trade Atlas, Korean cosmetics took the 9th place in overall cosmetic imports in U.S., with biggest growth rate. 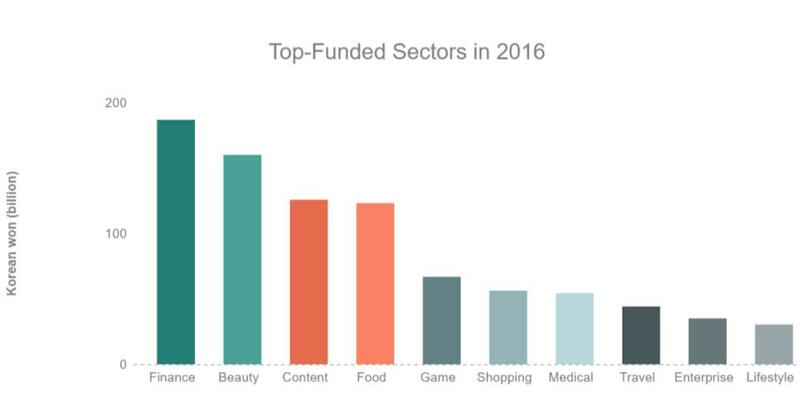 Beauty commerce Memebox raised the largest round of funding with KRW 73 billion (US$ 65.6 million) in August and a follow-up funding of KRW 70 billion (US$ 62.9 million) in December. 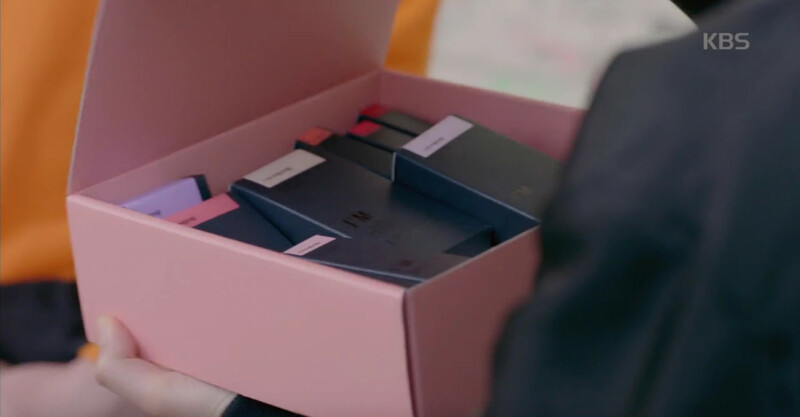 Not only did Korean soap operas help Memebox’s sales, but also the cosmetics startup helps soap operas. PPL, meaning product placement, is a popular way of indirectly advertising a brand inside a Korean TV show. Memebox has spent heftily to put its products into the drama Hamburo. Another global beauty commerce company, B2LINK, has a subsidiary in Shanghai with a focus on China market and raised KRW 5 billion (US$ 4.5 million) last year. Funding in the content sector takes 11% of the Korean startup market (KRW 114.26 Billion). Digital content is known to be a tough sector to monetize its users, but webtoons have proved that it’s a good money making business. Webtoon is a term used to describe Korean webcomics that are published online. Lezhin Entertainment, Korean webcomics service, raised 50 billion KRW (US$ 45 million) in June. Toomics, a webtoon platform raised 1.3 billion KRW (US$ 1.1 million). Lezhin Entertainment monetizes from its adult users over 20 years old, who have less time but more money to spend. Users can pay for the next story or they can wait until the next story to be posted next week for free. The sales increased up to US$ 27 million in 2015 and now has 8 million subscribers. Korean soap opera is one monetization models for these webtoons. 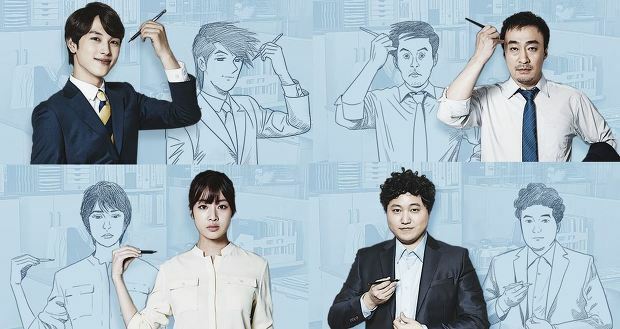 Many of them, namely, Misaeng (미생), Cheese In The Trap (치즈인더트랩), Lucky Romance (운빨로맨스), first came out as an online comic later and were later made into a soap opera. They were further monetized through e-commerce and advertisement. Korea’s biggest eBook vendor RidiBooks has raised KRW 20 billion (US$ 17.9 million). Kisik Bae, previously a VC at Samsung Ventures, was inspired by Silicon Valley startups and started an eBook store inspired by Amazon’s Kindle. The eBook store smartly focused on the less popular genres like science fiction, fantasy, and BL (boys’ love, gay novels) to attract loyal fans.